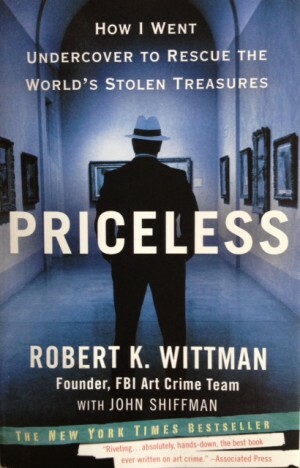 I just finished “Priceless: How I Went Undercover to Rescue the World’s Stolen Treasures” by Robert K. Wittman (with John Shiffman) and it becomes number 28 on my list, “My Favorite Books About Art.” This is Wittman’s memoir outlining his creation of the FBI’s Art Crime Team and his undercover work that recovered masterpieces and historical artifacts worth hundreds of millions of dollars. He did a superb job of weaving together art history, crime, suspense, and a substantial amount of personal intrigue and tragedy to create both an educational and entertaining read. The book is also illustrated with photographs of Wittman’s recovered treasures and the thieves and con men he caught. “Priceless” is now available in paperback from Broadway Paperbacks.com. ~ by Thomas on October 3, 2013.